For 2017, Mother’s Day is on Sunday, March 26. This is a day in which we traditionally honour our mums, grandmothers, or any other special woman in our lives who has rolled up her sleeves and taken on a maternal role. 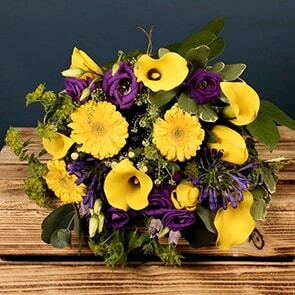 Flowers are the quintessential way to celebrate all mum has done these years and brighten her day. If you’re considering flower delivery in Dublin this year, check out these top six picks for the holiday. As a group, lilies are often considered some of the most elegant blooms in existence, though there are actually many types of them and each one has a different meaning. For example, the day lily represents motherhood to the Chinese, and most any white lily is considered a symbol of majesty or purity. Lilies are a fantastic choice if your mum carries a sort of elegance about her, without coming across as overly proper. Luxurious and feminine, orchids have numerous ties to motherhood. For the ancient Greeks, the orchid could determine if a mother would carry a boy or girl. If the father hoped for a boy, he was to eat thick and hearty orchid tubers. If the mother wanted a girl, she was to eat small ones. For the Chinese, orchids simply referred to having many children. Go for white to symbolize reverence, pink for joy and/or femininity, or purple as a sign of admiration. Most women love roses, and they can mean much more than romance. If you’re buying for mum, go with a deep pink, to show you appreciate all she’s done for you, use white for the brightness and purity of her spirit, or select yellow to represent her caring and kind nature. Tulips are the pure embodiment of spring, which is why they’re commonly given to mums who spread cheer and have a lot of energy. Pink typically denotes affection, whilst white is for purity. Like gerberas, carnations come in all sorts of colours and their full, almost fluffy blooms, are often thought of as a symbol of love or beauty. However, there is sometimes a myth associated with them, that they grew from Mary’s tears after Jesus’ death. Which is why they’re often tied in with Mothering Sunday. Whether you’re shopping for your mum, wife, grandmother, or other special lady in your life, Bloom Magic has something ideal. 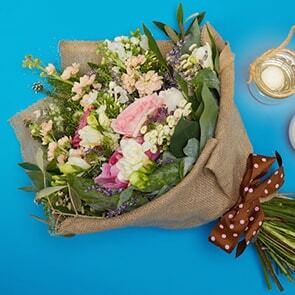 Select one of the blooms we’ve mentioned here, choose her favourite flower, or browse our dedicated Mother’s Day section, and you’ll find gorgeous hand-tied bouquets for every taste and style. 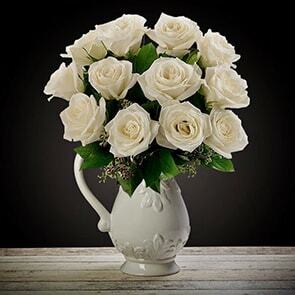 We order same-day flower delivery Dublin and next-day flower delivery Ireland, though we recommend you choose your Mother’s Day flowers early, so you can be sure you get your top pick.